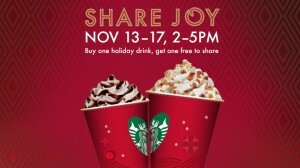 Starbucks Buy One Get One Free 13th to 17th November! Here is a Starbucks winter warmer offer! 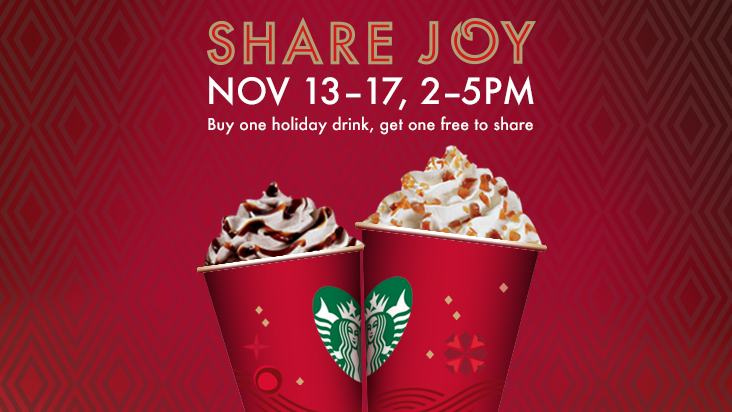 Call in at your local Starbucks from 2 to 5pm November 13th to 17th and enjoy buy one get one free holiday beverages! Shopcade – Enter Contests & Get Rewarded! Skip Hop Zoo Backpacks just $15! SpongeBob Media Player just $24.88!